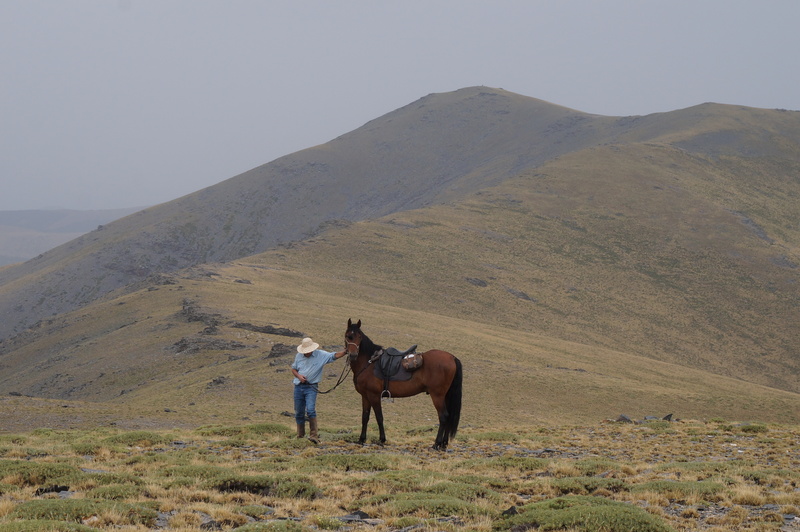 Unike turer over Sierra Nevada fjellene i det sørlige Spania. Spektakulært og fantastisk natur og utrolig godt skolerte hester preger disse turene. Utsikten og terrenget hestene kan klatre over tar pusten fra deg. Overnattingen er på små familieeide hoteller eller gjestehus i koselige landsbyer. 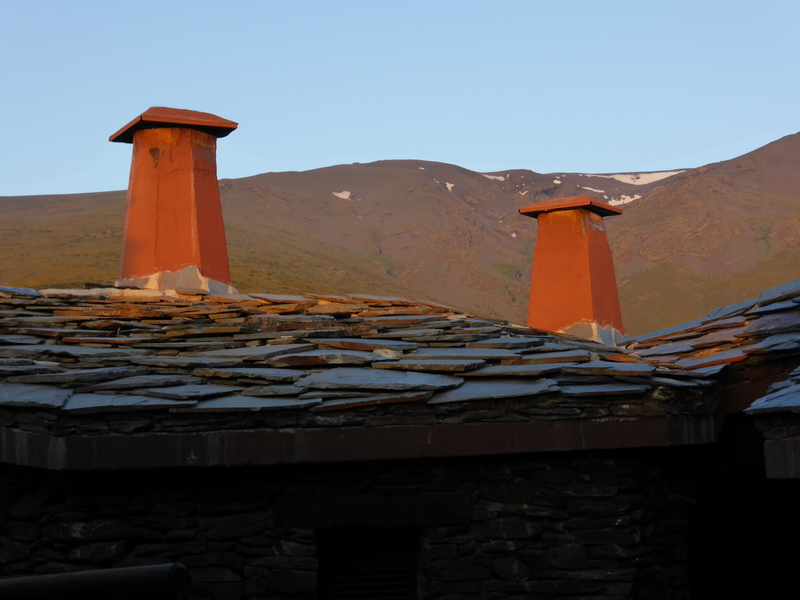 Sør for Grenada ligger Sierra Nevada som er den høyeste fjellkjeden i Spania. 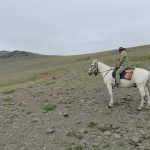 Oppdag den naturlige skjønnheten og ri gjennom et landskap som hele tiden endrer seg, der ingen daler, kløfter eller fjelltopper er like. 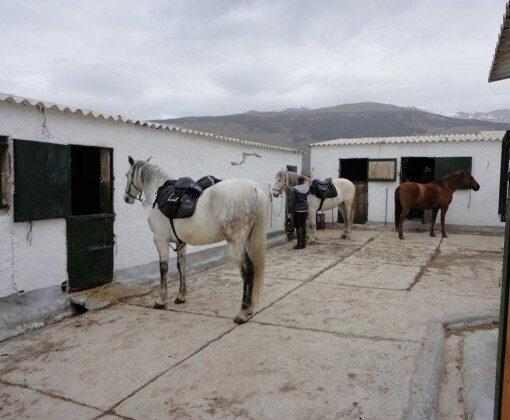 Dette er turer gjennom den vakreste regionen i Spania der ikke mye har forandret seg gjennom tidene; muldyr og okser trekker plogen fortsatt over markene, gjeterne leder sine saueflokker over åssidene og både hester og muldyr brukes fortsatt som transportmiddel. Ekspedisjonene starter i Bubion og følger Mauriske passasjer gjennom de dype dalene hvor mandel og valnøtt trær vokser opp langs skråningene. 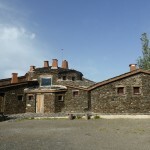 Du rir gjennom små hvitkalkede landsbyer med smale og svingete gater med original maurisk arkitektur. Noen steder er det bratt og er ikke egnet for de med høydeskrekk. Du bor på små komfortable gjestehus eller hoteller i landsbyene, og hver dag blir bagasjen fraktet til neste sted for deg. På dagen er det flere stopper og en avslappende piknik med blant annet lokal spekeskinke og ost sammen med ferskt brød og salat. På kveldene får du muligheten til å smake middag fra det lokale kjøkkenet med spanske viner. 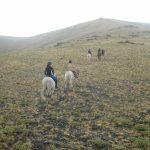 Turen arrangeres på våren og høsten og tar deg gjennom den lavere Contraviesa fjellene som ligger mellom Sierra Nevada og Middelhavet. 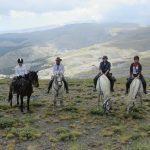 Pga nærhet til kysten er klimaet varmere og tørrere enn høyere oppe i Sierra Nevada. 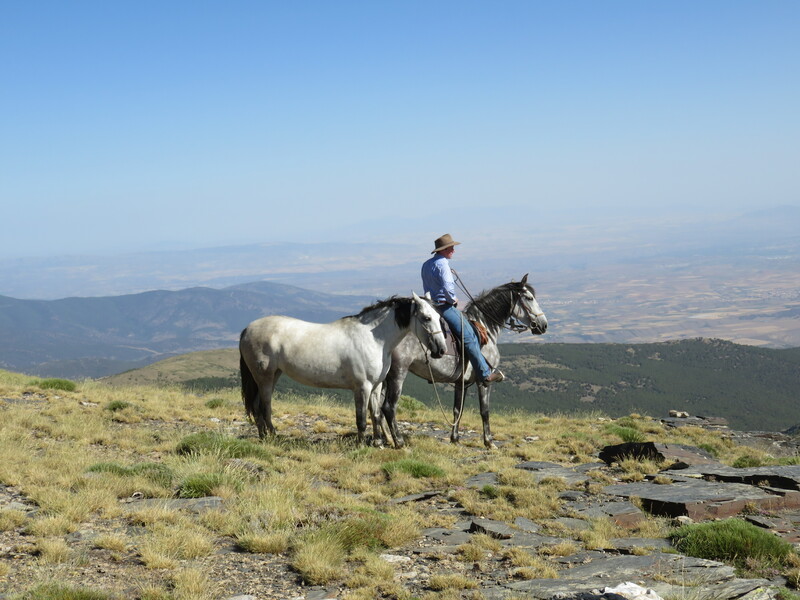 På denne turen rir du gjennom fjellene og til en ny landsby hver dag, inkludert en natt i Trevelez som er den høyestliggende landsbyen i Spania. Denne turen går i sommermånedene og tar deg høyere opp i fjellene for å unngå varmen i dalene. Du bor på 3 forskjellige steder og returnerer til Bubion. 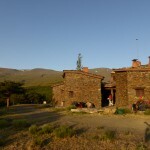 Denne turen går gjennom den østlige delen av Alpujarra og Sierra Nevada nasjonalpark med variert og krevende terreng opp mot 2 700 meter. Denne turen går bare i slutten av mai og et par uker i juli. Dette rittet arrangeres bare noen få uker i løpet av sommeren. 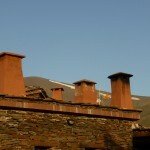 Den tar deg langt inn i Sierra Nevada fjellene og følger noen av de høyeste stiene fra 1 600 til over 3 000 meter. 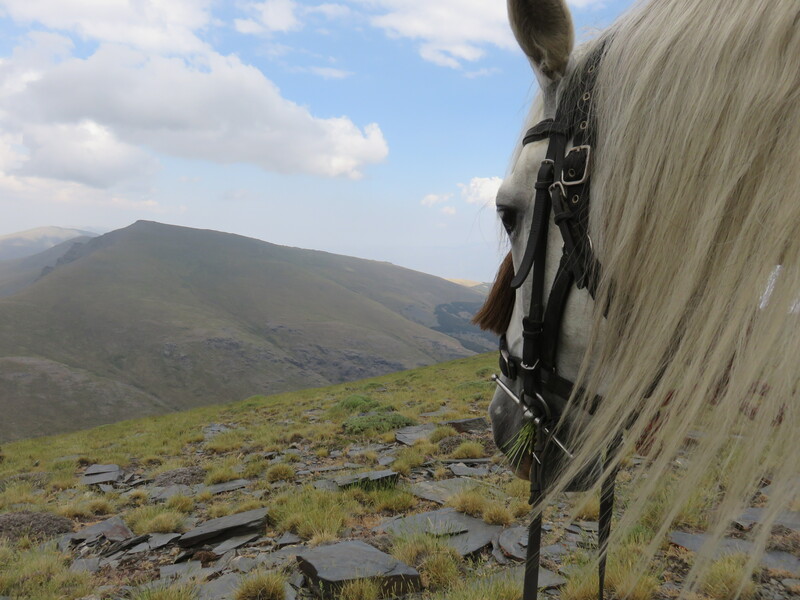 De fleste stedene er bare tilgjengelig med hest eller til fots og denne turen tar deg gjennom noen av de mest spektakulære, varierte og ofte krevende terrenget i Sierra Nevada og El Marquesado. Se egen produktinfo. 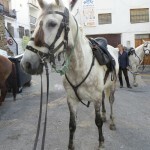 Hestene er andalusiske eller andaluser krysninger og alle er velskolerte og trent av eier og guide Dallas Love og hennes bror. De er snille, lydige, spreke og har god balanse. De elsker å jobbe og er fantastiske å ri. Det forventes at du steller og saler på hesten din selv, men det er selvfølgelig hjelp å få hvis du trenger det. Du må være en erfaren nok rytter til å ri på tur i alle gangarter og ha god balanse i salen. 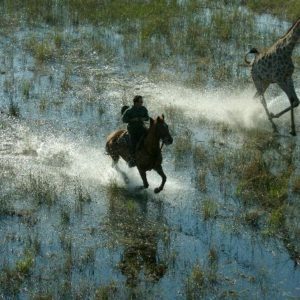 Det bratte terrenget styrer tempoet, men det vil være mulighet for trav og noen galoppstrekk på alle turene. Flere steder er det bratte skråninger hvor du må gå av og leie hesten din. Du må derfor være i form til dette, samt å kune stige opp på hesten uten hjelpemiddel. Det er normalt maks 11 ryttere i gruppen (8 på El Marquesado). Maksimum vekt er ca 90 kg. Tyngre ryttere kan være mulig på forespørsel. 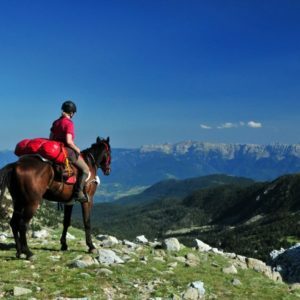 The Contraviesa Ride runs in Spring and Autumn and takes you through the lower Contraviesa mountain range which lies between the Sierra Nevada and the Mediterranean. 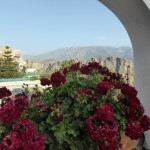 Due to the proximity of the coast the climate is warmer and more arid than higher up in the Sierra Nevada. 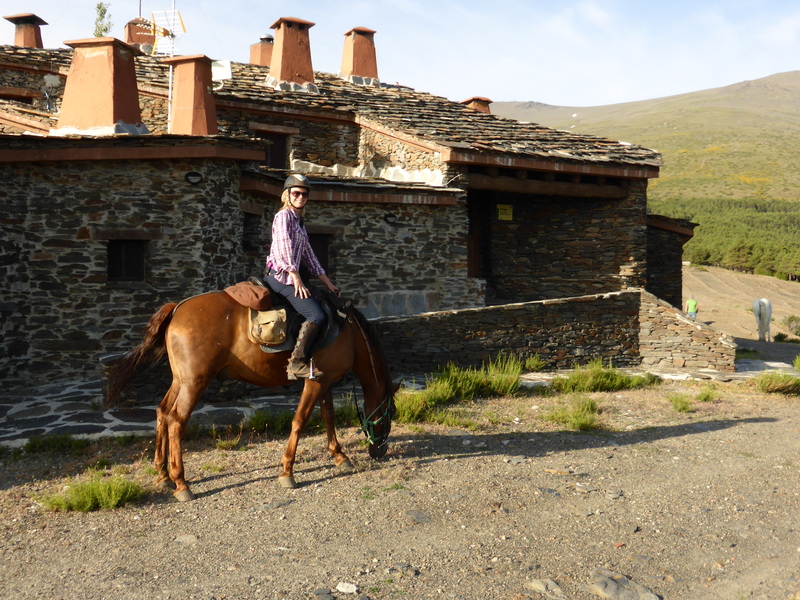 On this trail you ride through the mountains to a new village each day, including spending a night in Trevelez, the highest village in Spain. 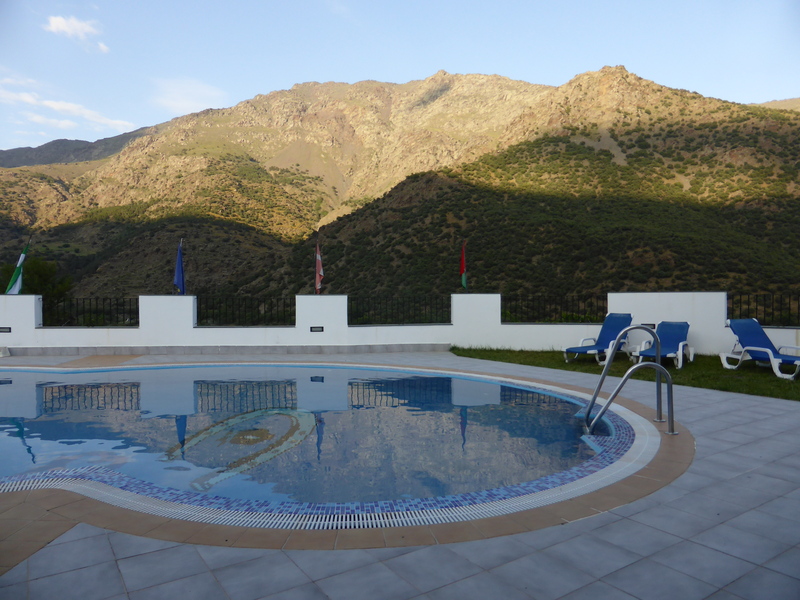 Collection from Malaga airport and transfer to the village of Bubion where you will be met by the trek organiser and guide. 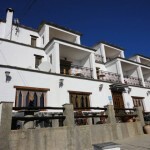 Supper and accommodation in a comfortable village guest house in Bubion. 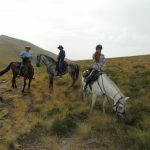 Today’s ride will allow you to get to know your horse and will be high through the valley Poqueira, claimed by many to be the most beautiful valley in the region. 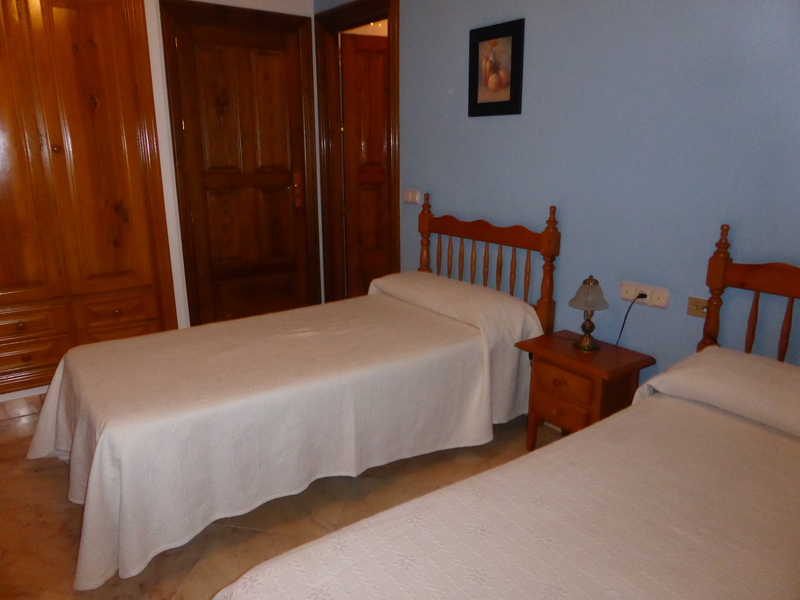 Tonight you will return to Bubion for a second night at the guesthouse. 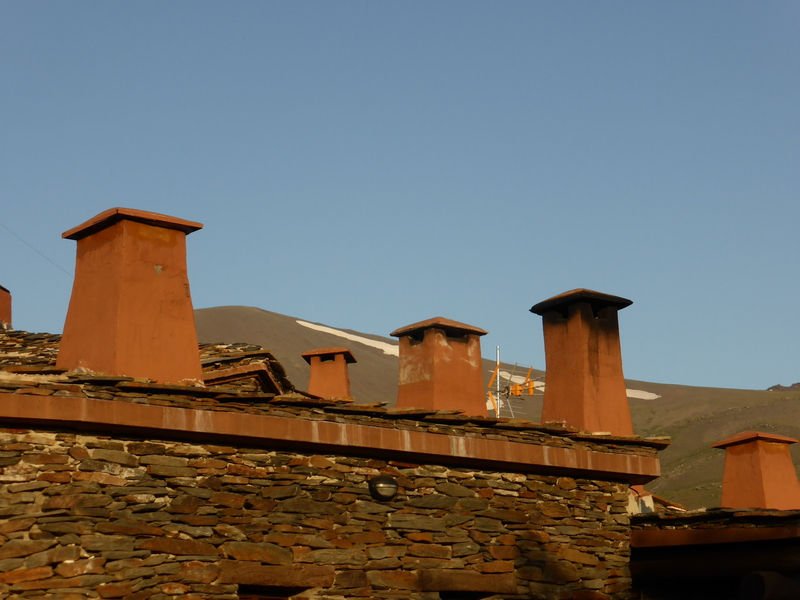 Heading east you set off for the village of Trevelez, at 1,476 meters, this is the highest village in Spain. 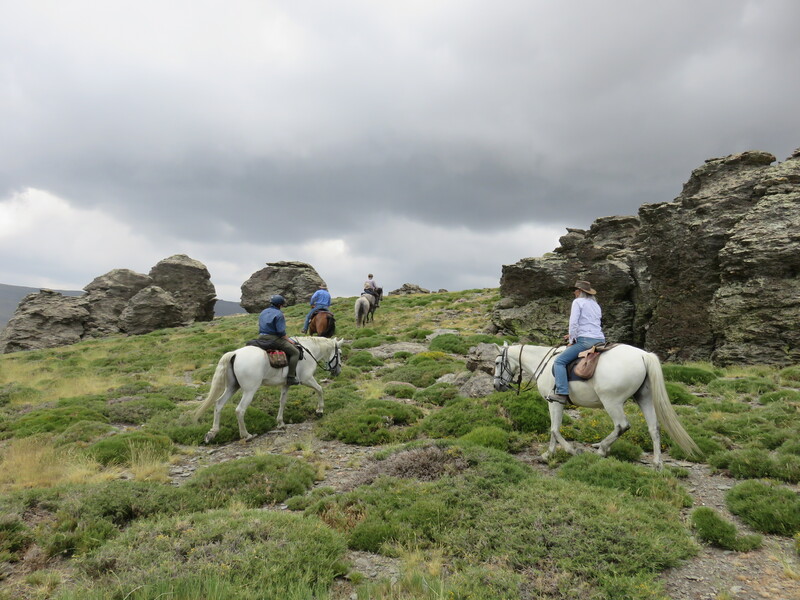 During the morning you will follow the old mule paths through the countryside to the village of Pitres and then Portugos where you will have lunch on the way. 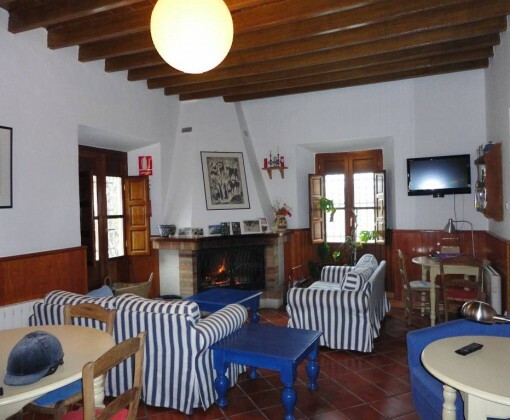 After lunch you will climb up to join a broad forestry track through the pine and oak trees to Trevelez. 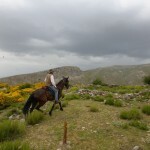 This afternoon there may be some opportunities for canters. 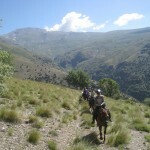 After leading the horses through the village we mount up and take the old Moorish bridlepath bordering an 800 year old irrigation channel, climbing steadily through oak and pine woods to an altitude of approximately 2,500 metres. 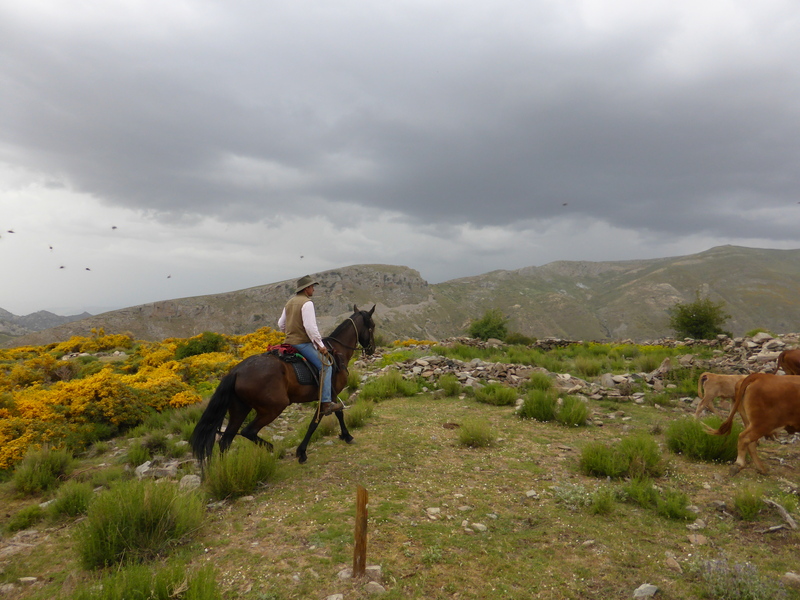 After a picnic lunch you climb again through gorse, lavender and thyme to join the path as it winds its way down to the village of Berchules. 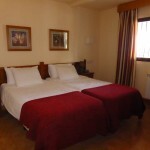 The evening is spent in a comfortable family run hotel. 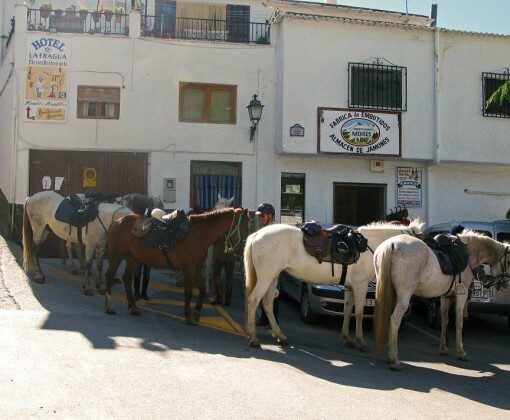 After leading your horses through the village you mount up down beside the riverbed of the river Guadalfeo. 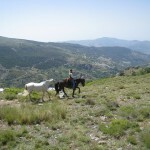 Follow the narrow paths through the green terraces of Narila and pass into the next valley. 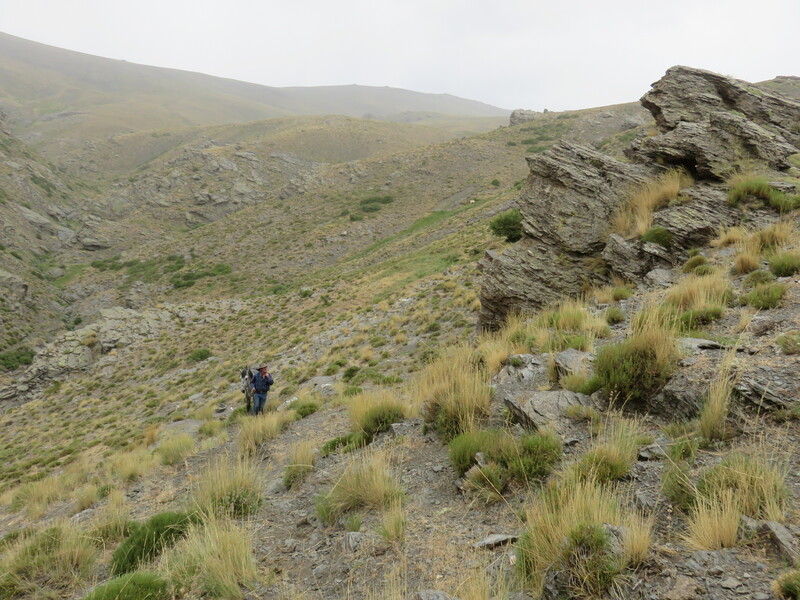 Here the landscape changes abruptly to dry lands, deeply eroded by the winters and spring rains. Picnic early by the river. 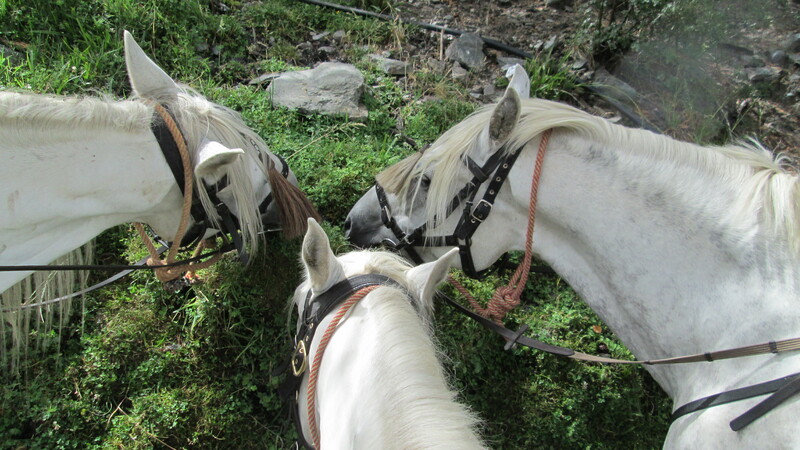 This afternoon there should be some opportunities for canters down by the river bed. 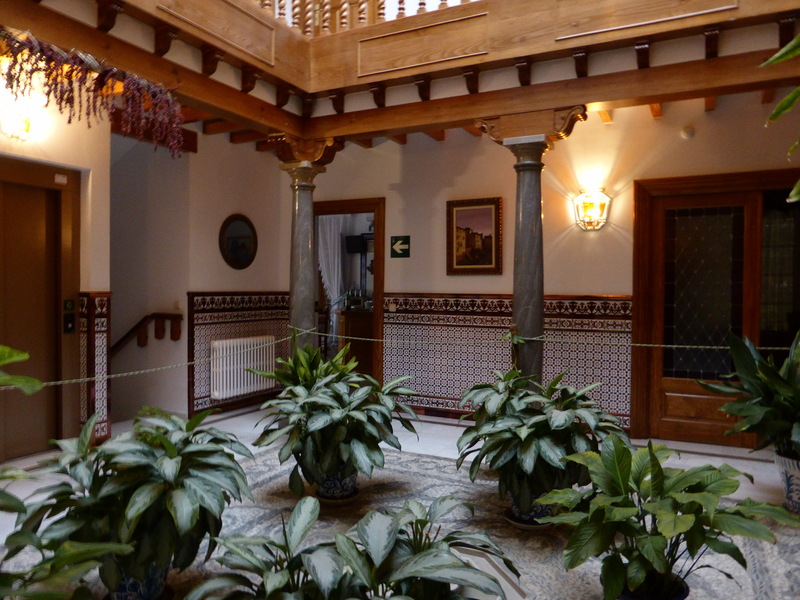 Tonight you will stay at the Morayma, without doubt the most charming hotel in the area. 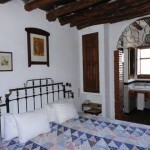 This hotel has been designed with a lot of care and good taste. 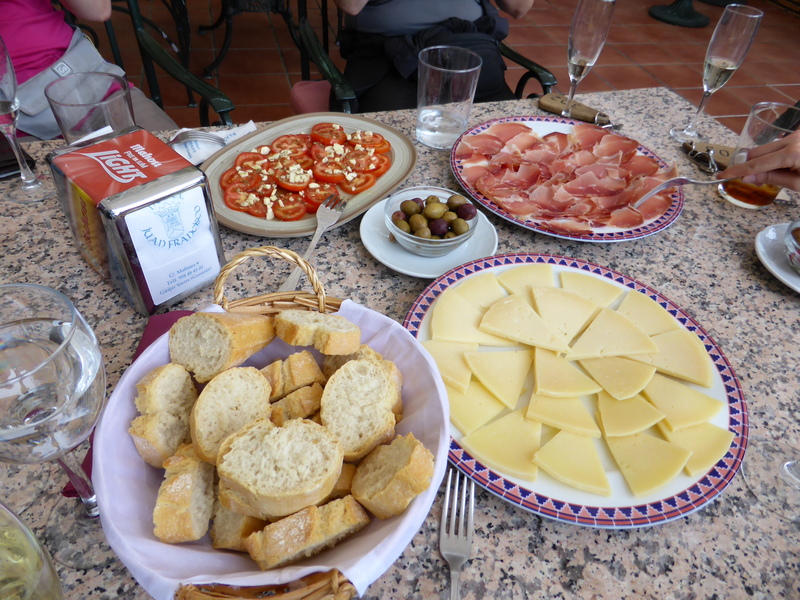 Today is a shorter ride, with an early picnic lunch before returning back to the Morayma for a second night. 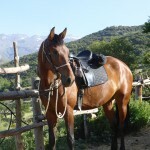 The ride will take you up through almond and fig farms and higher up through the vineyards. 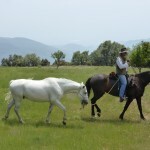 You may get to see the farmers still ploughing their lands with their mules! 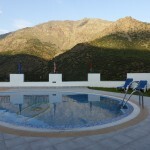 Enjoy the marvellous views across the whole of the Sierra Nevada. 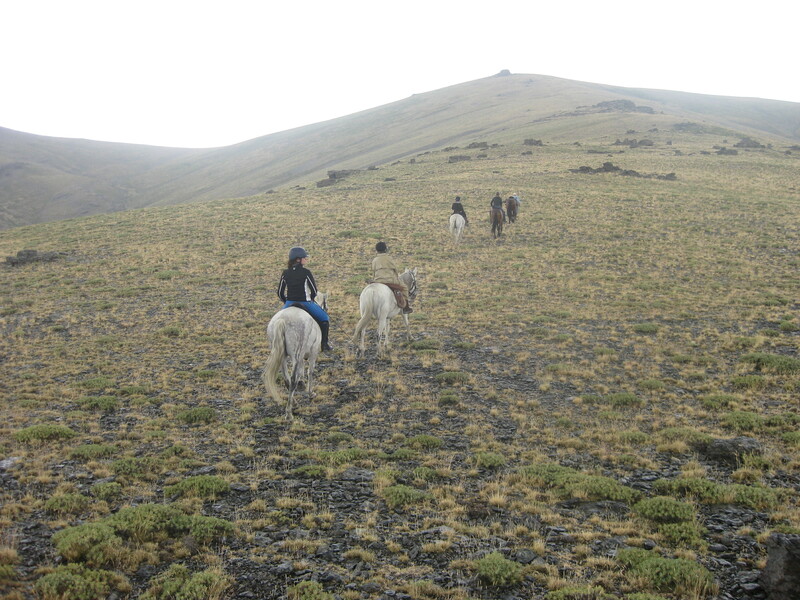 Your final days ride returning to the village of Bubion, which is a long ride for the horses. 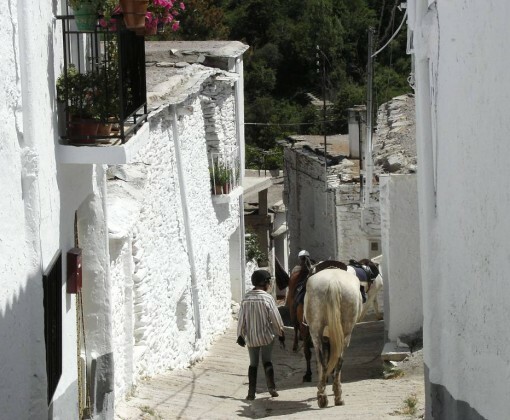 Crossing the river Guadalefao, you will follow a steep bridle path west if the villages Lobras and Timar. 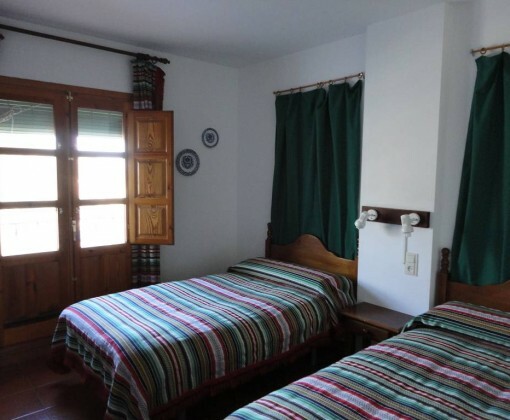 From here you will follow a quiet road for approximately 7km before a steep descent into the spectacular gorge of Trevelez. 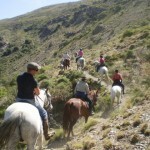 This descent is on an ancient Roman path cut into the sides of the gorge and must be made on foot leading the horses. 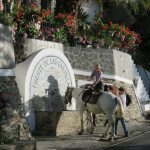 On the other side of the gorge you will ride up past the pretty village of Busquistar and onto Portugos for a well deserved lunch. You will then continue onto Bubion. 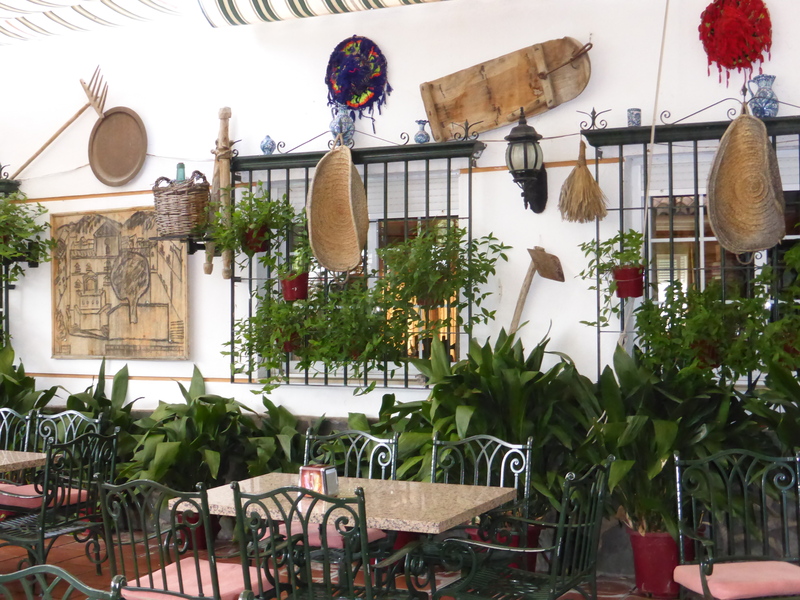 This afternoon if time allows you may wish to explore the local craft shops which specialise in handmade rugs and pottery. 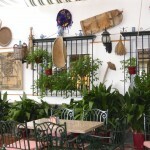 Tonight there is a farewell dinner at a restaurant in Bubion. 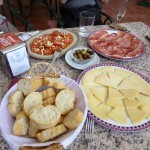 Depart for Malaga after breakfast. 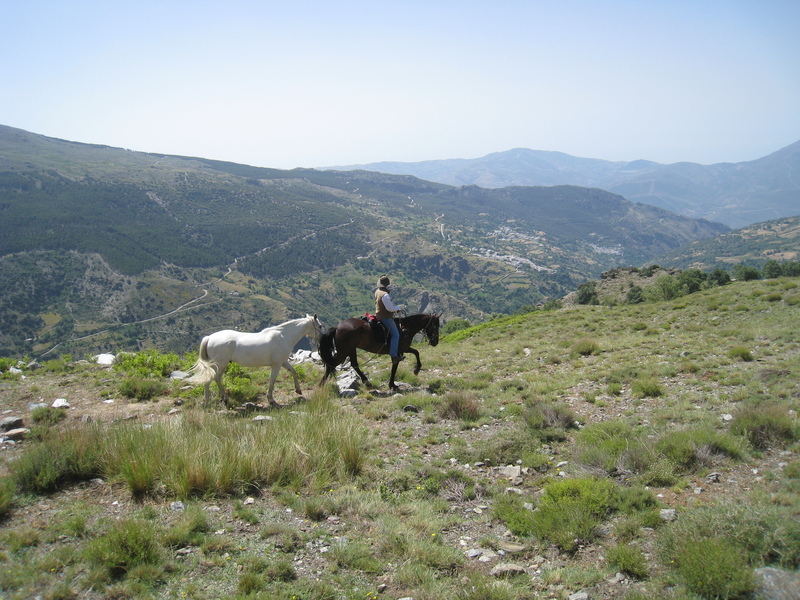 The Alpujarra Ride runs in summer months and takes you higher into the mountains avoiding the heat of the valleys. 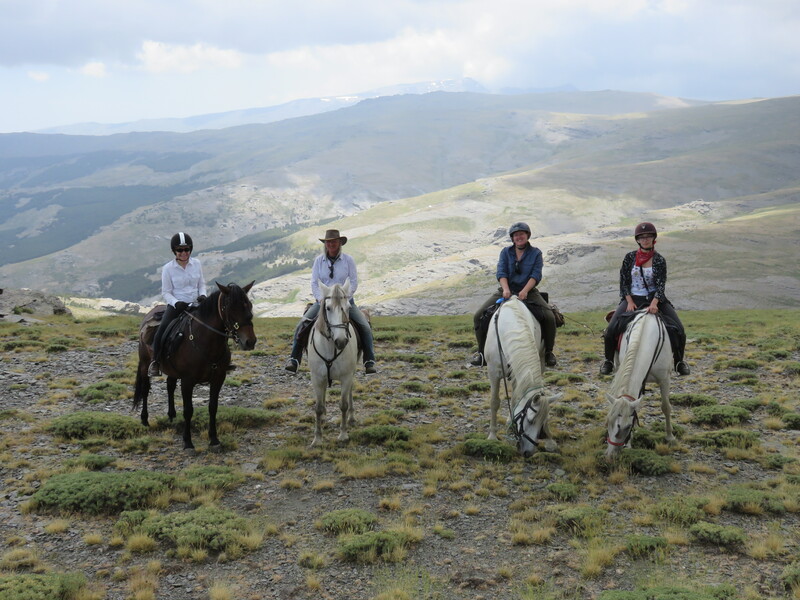 You stay at three different locations, returning to Bubion on the final evening enjoying your last ride in the mountains. 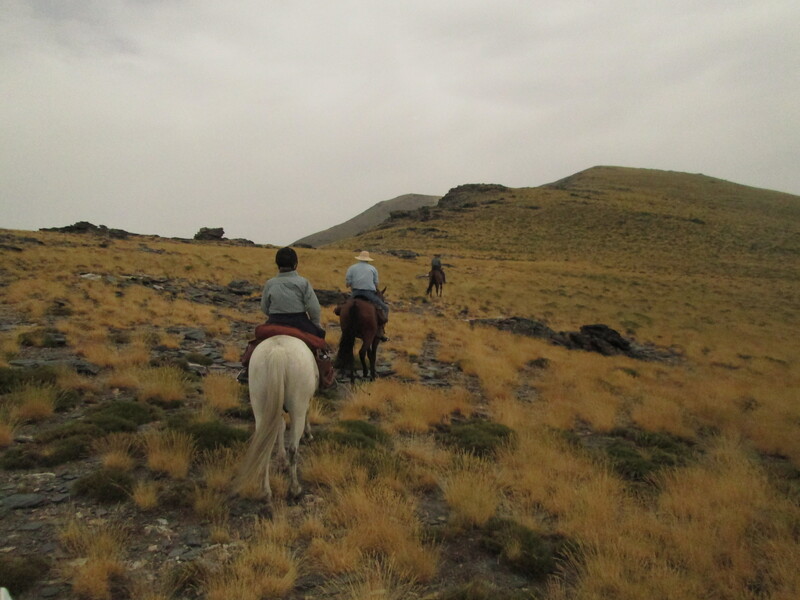 Today you will get to know your horse as you explore the more inaccessible parts of the Poqueira valley. 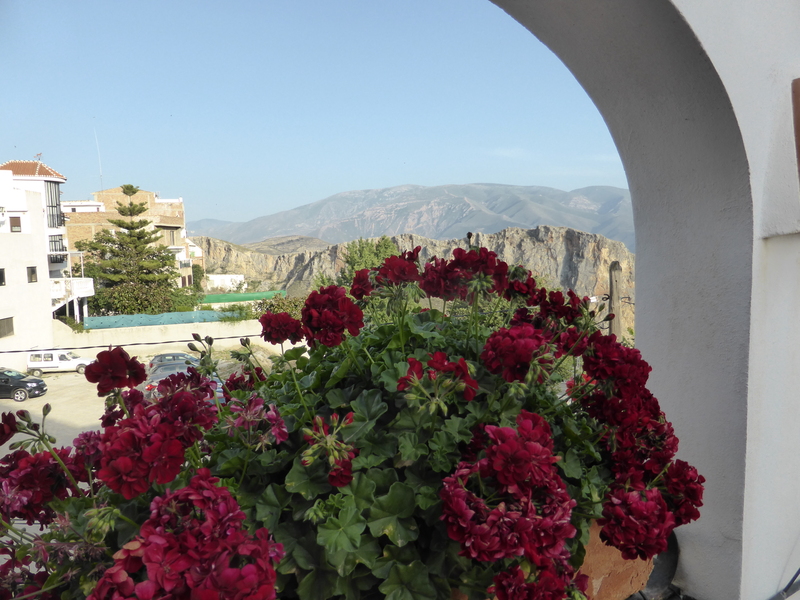 With the Mulhacen (the highest mountain in Spain) forming the backdrop, this valley is often described as the most beautiful in the Alpujarra. 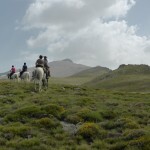 Make your way along narrow paths though high pastureland and across ancient irrigation steams to the head of the valley. 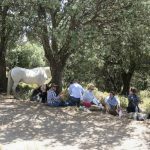 Here have a picnic lunch in the shade of a pine wood and in the afternoon follow a forestry track back down the mountainside towards Bubion. 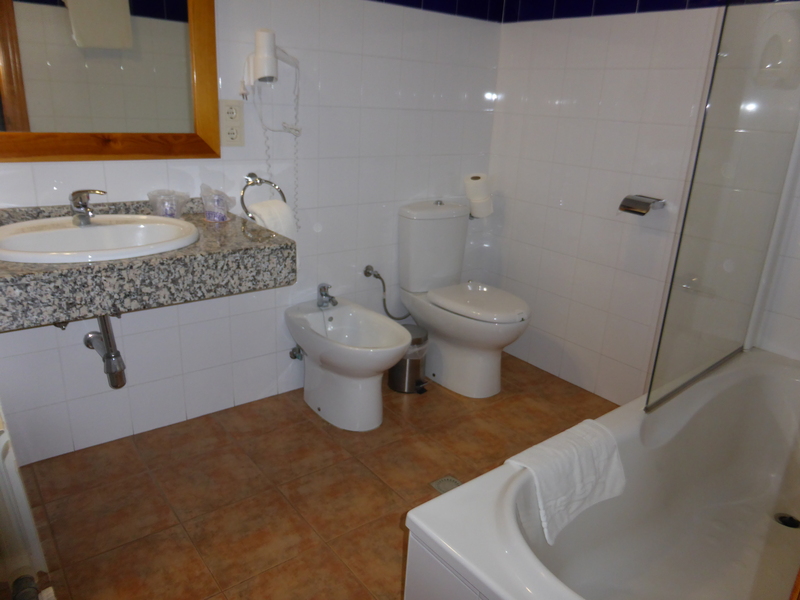 You will stay in Bubion again tonight. 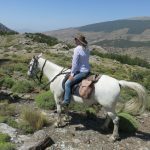 Today the bridle paths take you over totally different terrain, through pine forests and mountain farms to the village of Berchules. 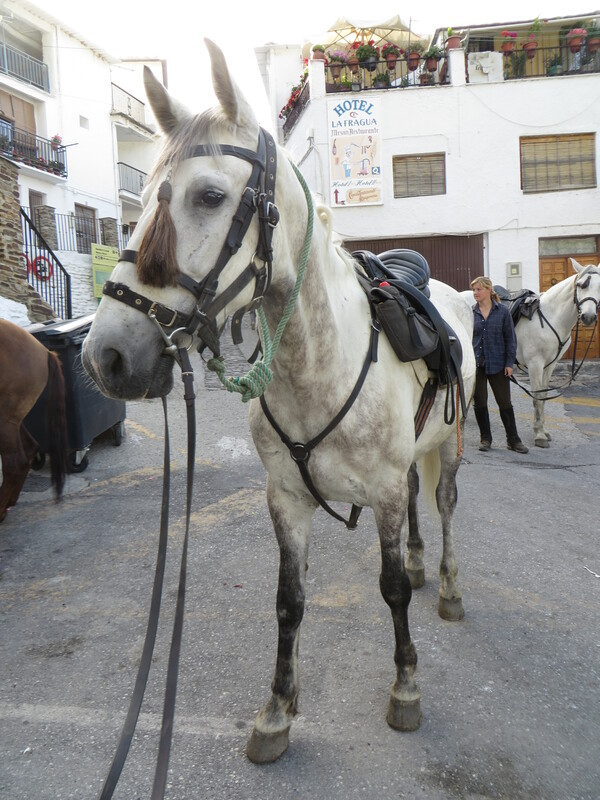 On leaving the stables lead your horses down through the pretty village streets to the start of the mountain path (c. 15 minutes walk). 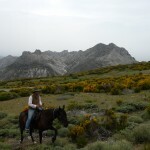 The first part of the ride follows a very steep and rocky path up through pine woods and summer pastures covered with fragrant wild herbs. 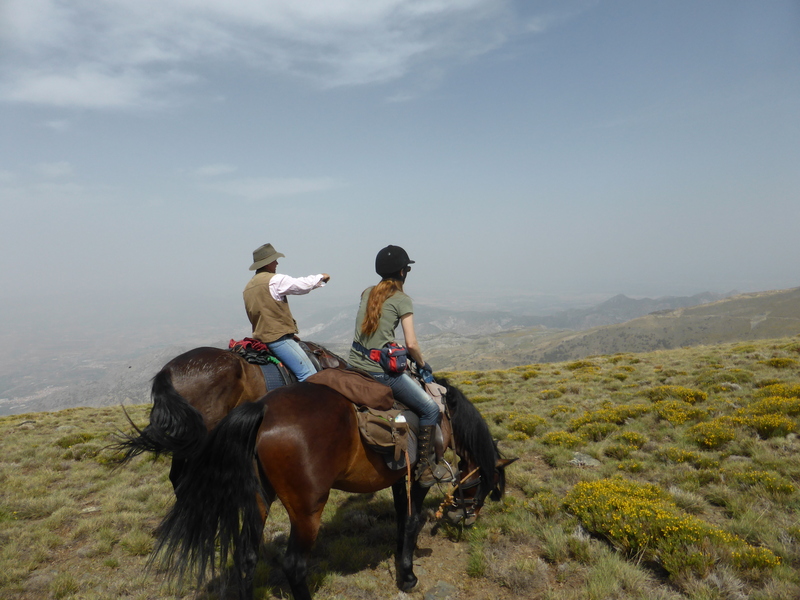 At the top the altitude is c.2,500m and on a clear day it is possible to see across the sea to the mountains of Morocco and to the North the highest peaks in Spain. 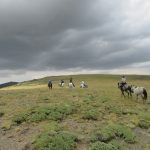 Have a picnic lunch in a forest clearing and in the afternoon commence the descent to the village of Berchules, leaving the pastureland behind for irrigated crop terraces and cherry trees. 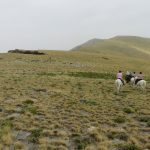 The final stretch of path is very rough and it is necessary to lead the horses down this and through the village to the stables (c.30 minute walk). 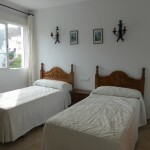 Overnight in Berchules in a comfortable family run hotel. 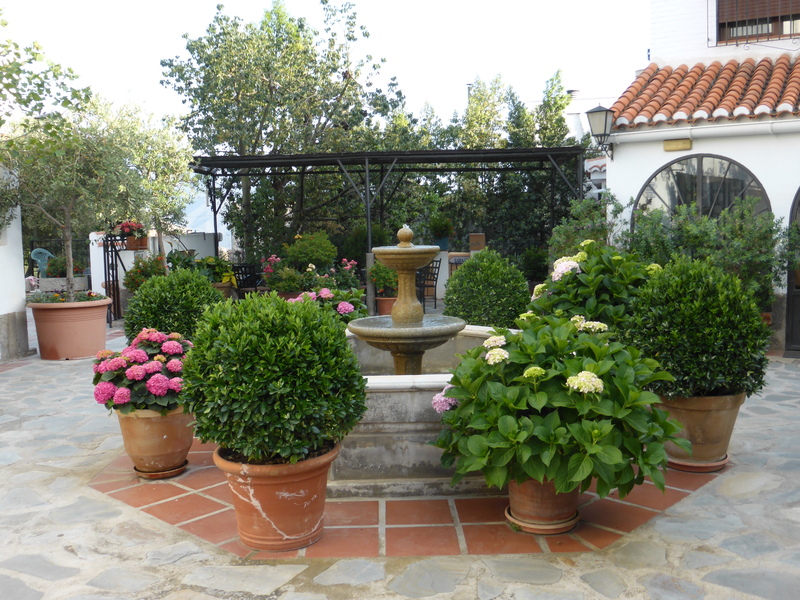 Berchules takes its name from the old Spanish word Berchel, meaning literally, mountain garden. 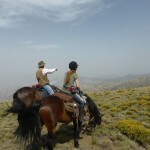 Today is a spectacular ride taking us high above the valley of Berchules to an altitude of approximately 2,200 meters. 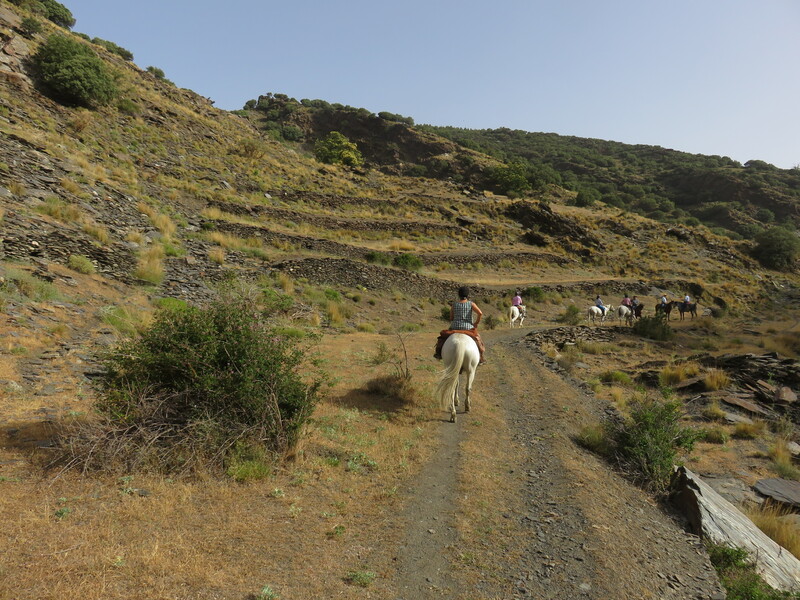 Leaving the village behind we climb though small terraced market gardens and fruit farms up to the forestry road which will offer some canters. 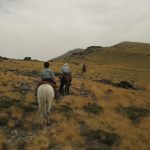 Turning off the main forestry track we continue to climb through pine woods and open pasturelands to above the tree line. 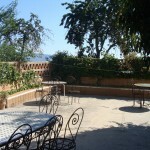 On a clear day stunning views of the higher peaks in one direction and the coast and Mediterranean Sea in the other. 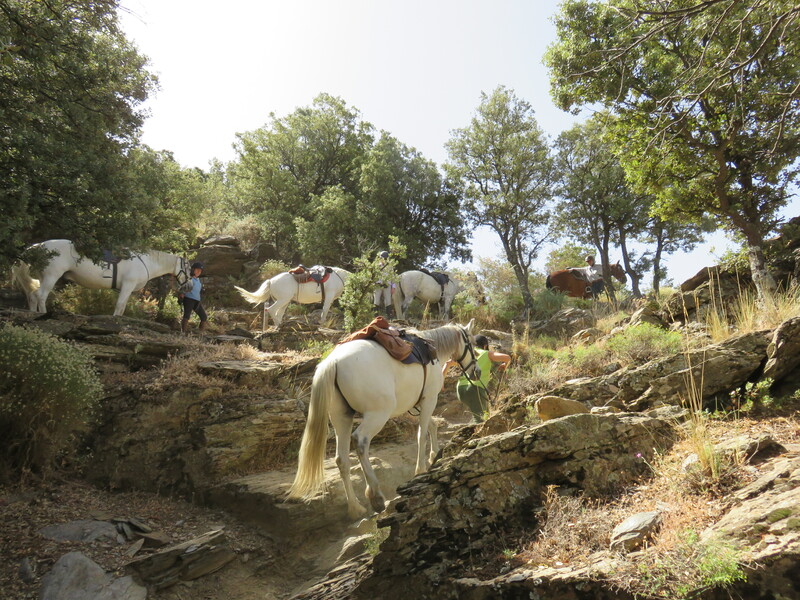 After a picnic lunch the descent follows an old mule trail leading to a logging track through the pine woods providing welcome shade on a hot afternoon. Leaving the pine woods behind we join the old bridle path as it winds its way through old small holdings and farms to the village. 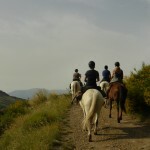 There are a few sections in the afternoon where it is necessary to lead for short periods. Approximately 8 hours. 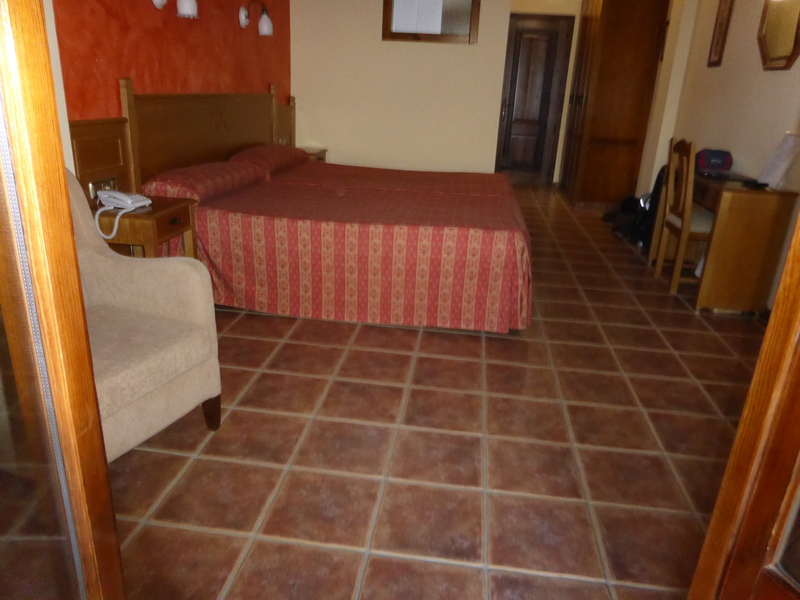 Second night in the comfortable Hotel Berchules. 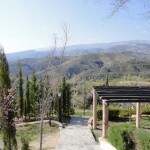 Having made a semi-circle you will descend to the river Guadalfeo and west of the village of Trevelez. 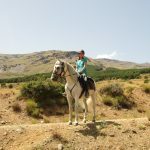 During the morning the landscape changes abruptly, leaving the alpine like Sierra’s behind you will ride through small terraces of olives, almond and fig trees. 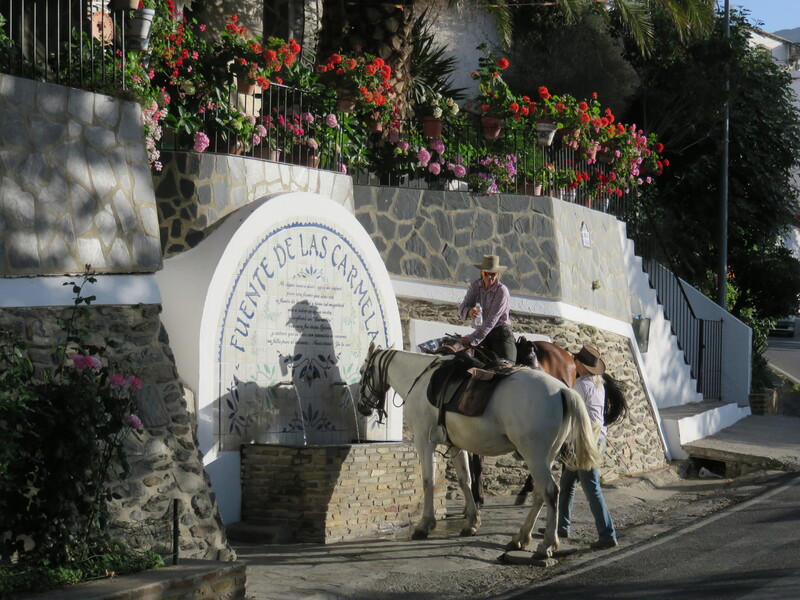 Late morning you will climb through the spectacular gorge to the village of Juviles where you will stop for lunch. 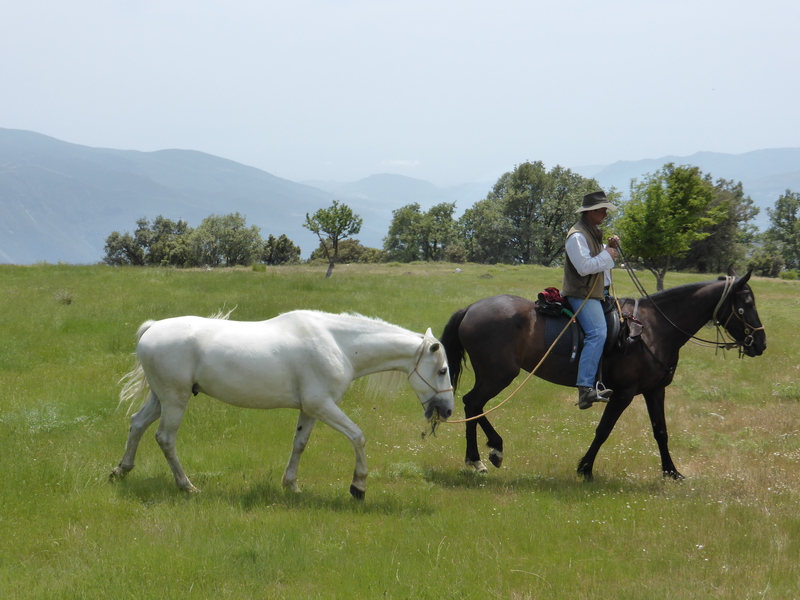 After lunch the ride gradually descends downhill towards Trevelez. Today is a shorter ride. 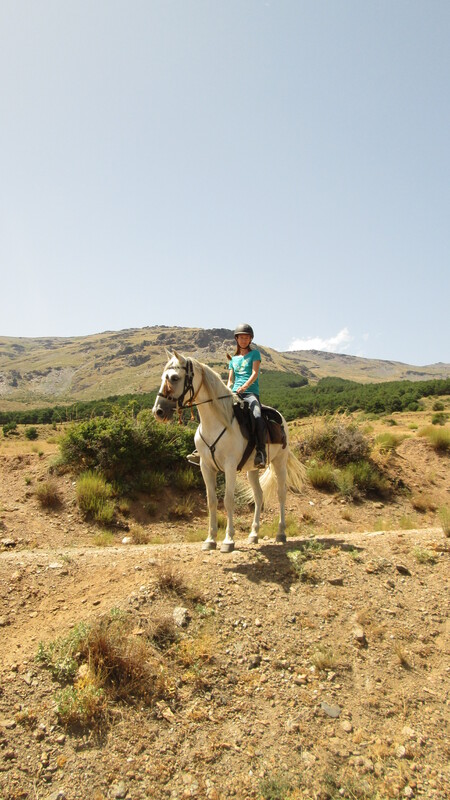 Following the forestry tracks through the pine and oak woods you will ride towards the stables high above the villages of the Poqueira. 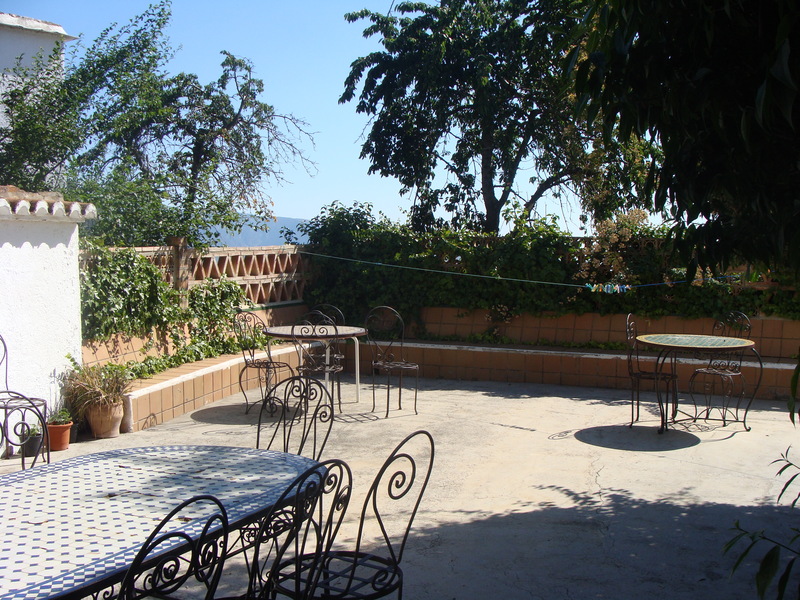 This route will offer you superb views out over the Contraviesa mountains towards the Mediterranean sea. 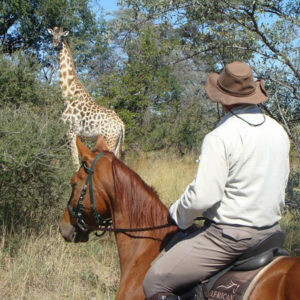 There should be opportunities for some canters. 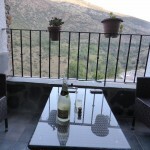 After a late lunch in the village of Capileira you will return to Bubion. 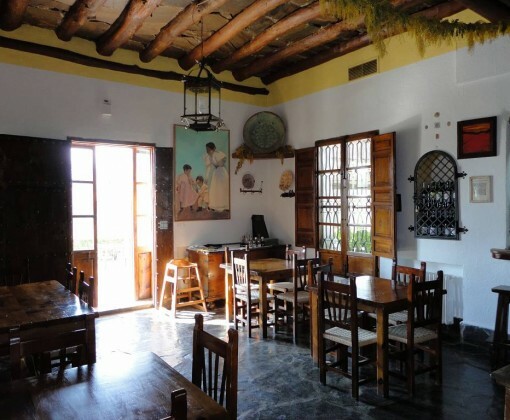 Tonight there is a farewell dinner in Bubion. 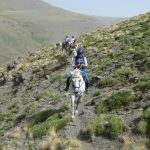 This is a challenging circular trail through the east of the Alpujarra and Sierra Nevada National Park, riding over diverse and varied terrain at high altitude. 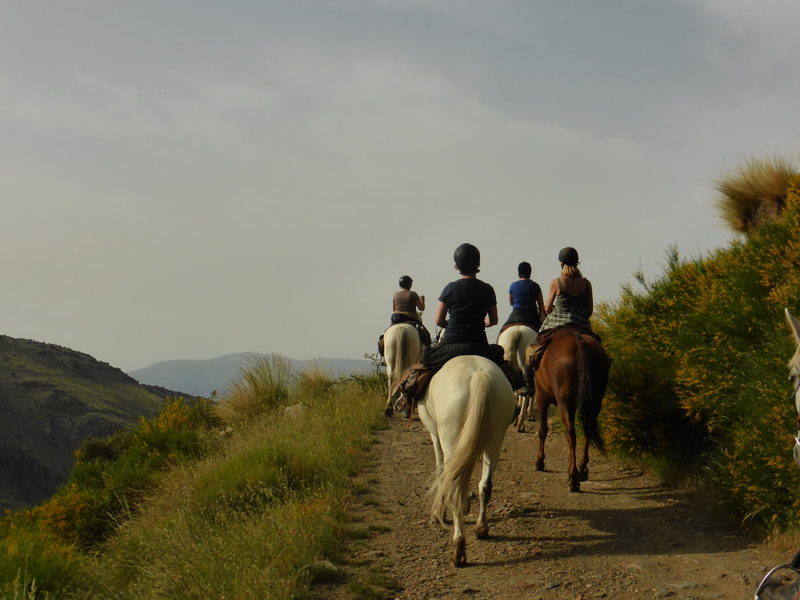 Ride through the southern slopes of the Alpujarra following the ancient Moorish paths and forestry tracks between the picturesque white villages. 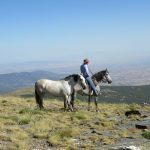 During the ride, climb to the Peñon del Puerto, an altitude of over 2,700 metres, following the ridge East to the Puerto del Lobo and the Altos de San Juan. 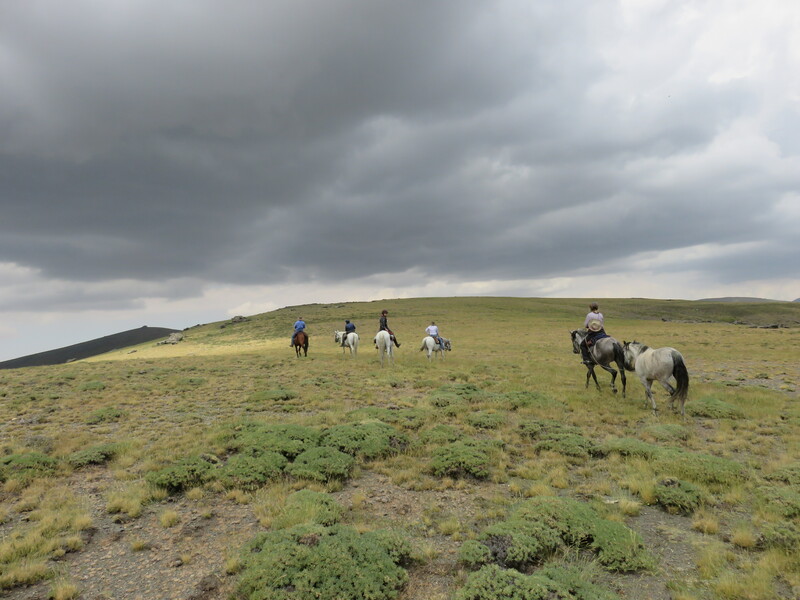 Seemingly endless vista of mountains and plains give an amazing sense of space and wilderness. 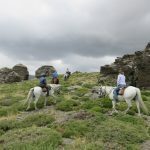 Please understand that the following is the proposed itinerary which is subject to change due to local conditions – perhaps paths have been damaged by winter snows or the weather is unusually difficult. 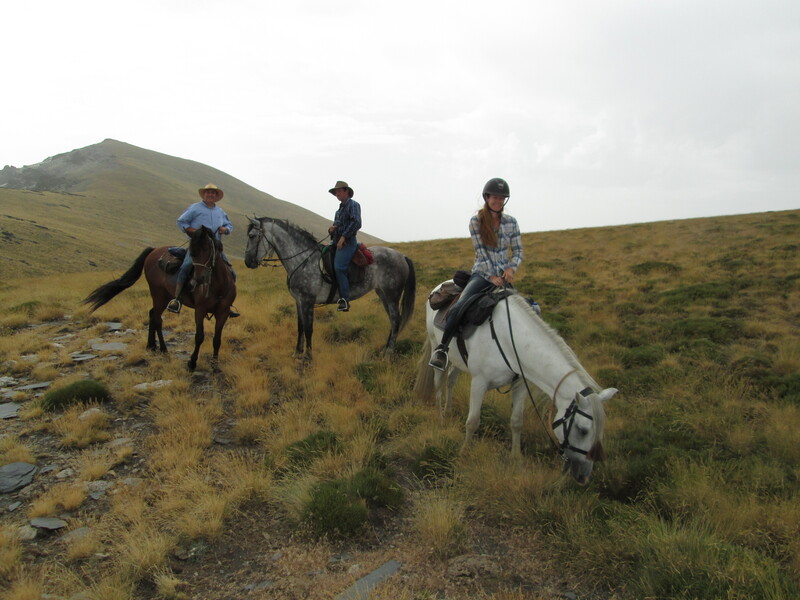 As much of this ride is at high altitude, you must be fit both on and off the horse. 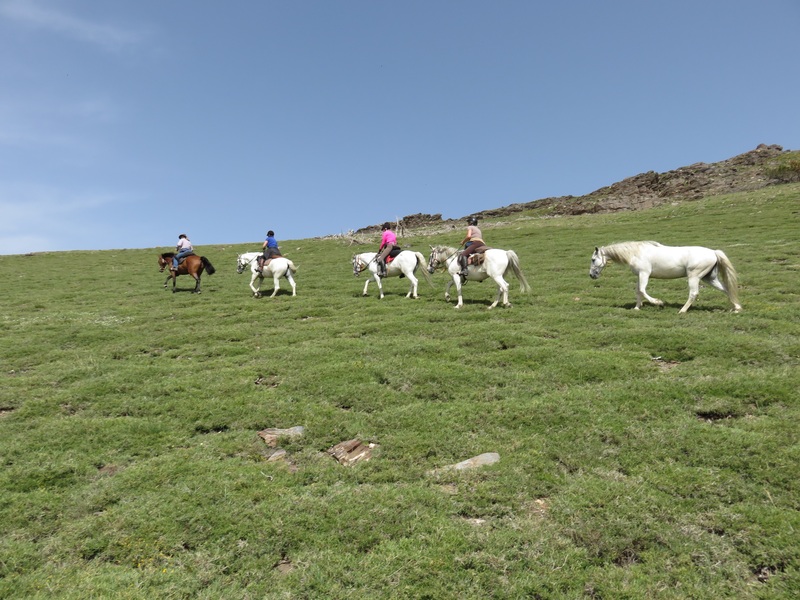 On three days there will be sections where it is necessary to lead your horses due to very steep and rough terrain for up to an hour. 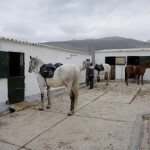 It is therefore essential that your riding boots have non-slip soles that are safe and comfortable for walking. 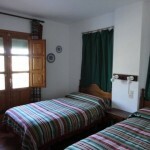 During the ride one night is spend in a high mountain refuge where is will be necessary to share rooms. 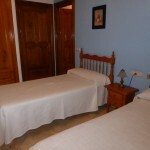 The other nights you will be in comfortable village hotels (some with pools). 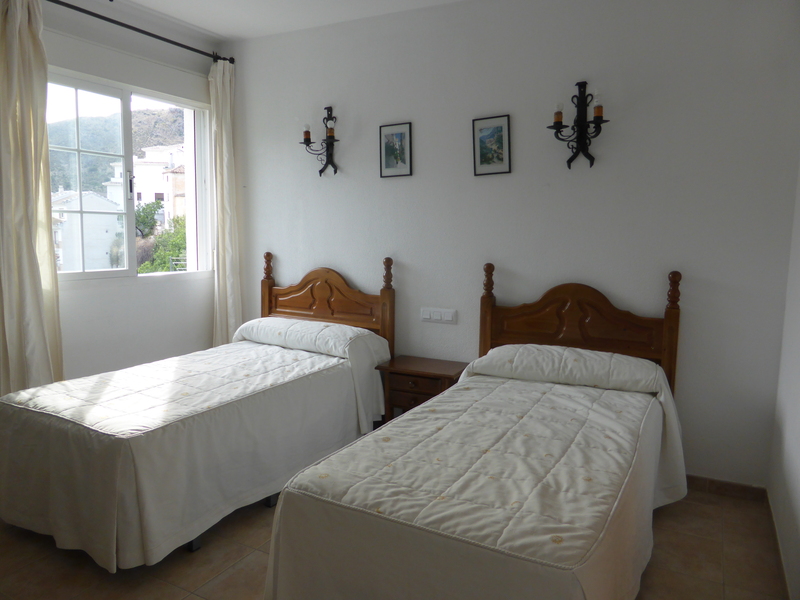 Your first nights dinner and overnight is in a comfortable guest house in Bubion. 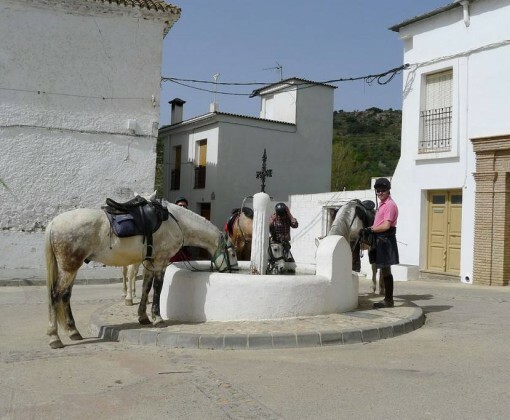 Today you head east to the village of Trevelez, the ride begins with a steep climb on an old bridle paths passing by ancient Moorish irrigation channels, sheep farms and old small holdings. 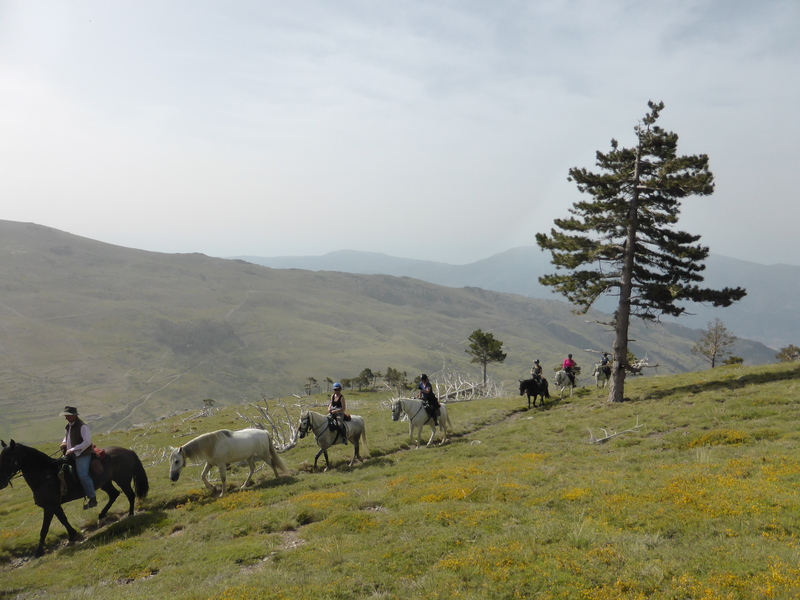 At 1,950 metres you join the main forestry track for 5 – 6 kilometres where some nice canters are possible through the pine woods before re-joining the path. 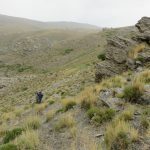 After a picnic lunch on the edge of the woods, the path starts the descent to the ravine ‘Barranco de la Vina’, some sections on foot. 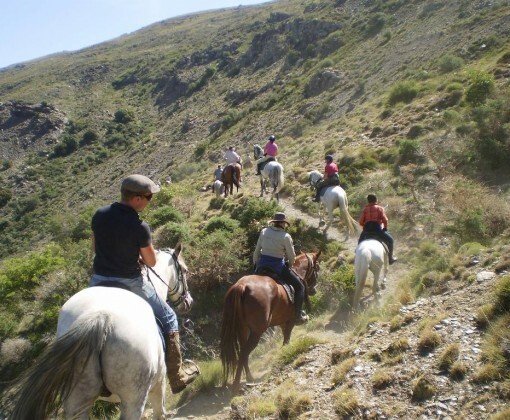 In the Barranco de la Vina you join another dirt track that takes you to the village of Trevelez. 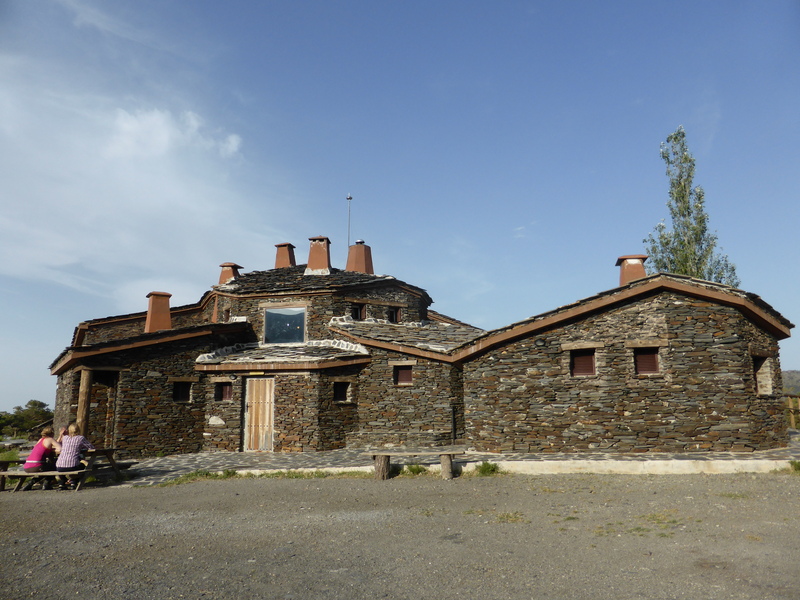 At 1,486 metres Trevelez is the highest village in Spain; it is also famous for its air cured ham. 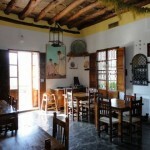 Overnight and dinner in the comfortable Hotel La Fragua situated in the old Berber section of the village. 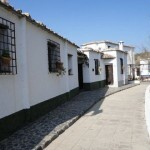 Continues east to the village of Berchules. 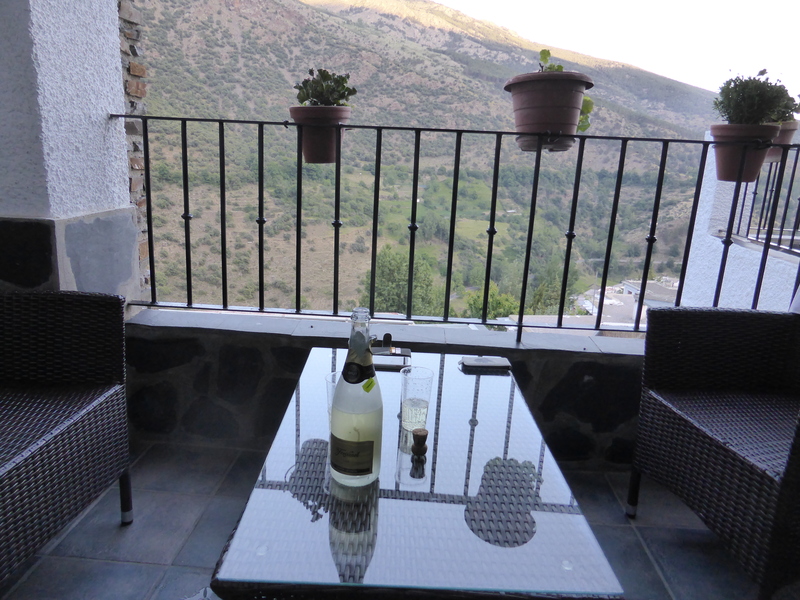 After a 10 minute walk through the streets of Trevelez, mount up and head down to the river. 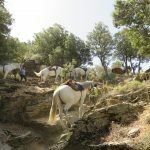 Once across the river the path, many centuries old, follows first the Moorish irrigation channel and then works its way through oak and pine forests to the open pasture lands of the Sierra of Juviles. 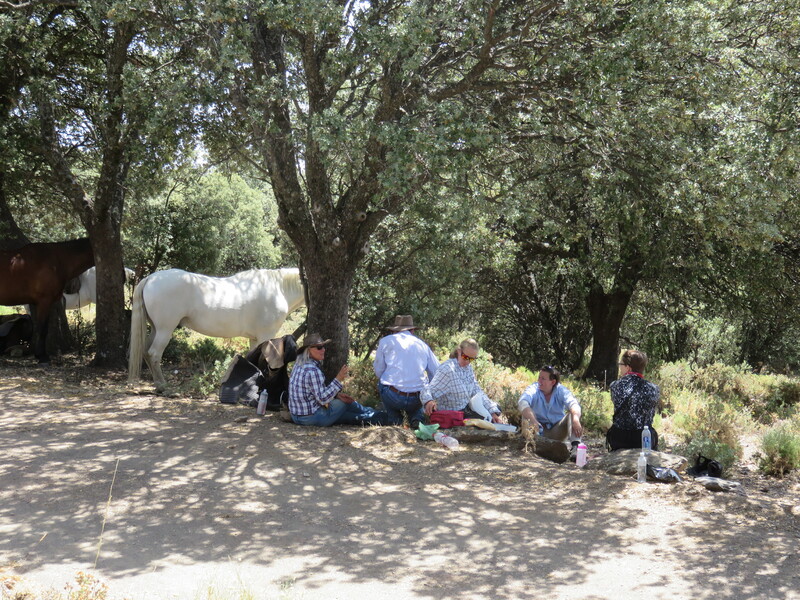 After a picnic lunch, the path continues for a while through the oak woods before joining the main dirt road for a steep climb to cross over to the small farms above Berchules. 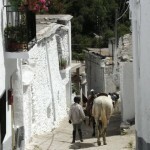 The final descent into the village of Berchules is on foot (c 30 minutes’ walk). 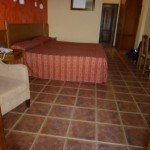 Overnight and dinner at Hotel Berchules. 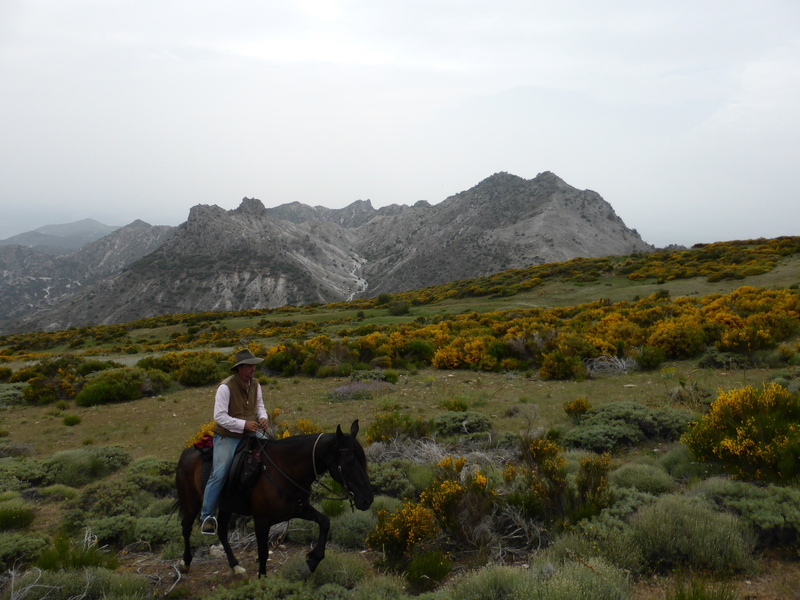 A longer ride today leading to the summit of the eastern peaks of Sierra Nevada. 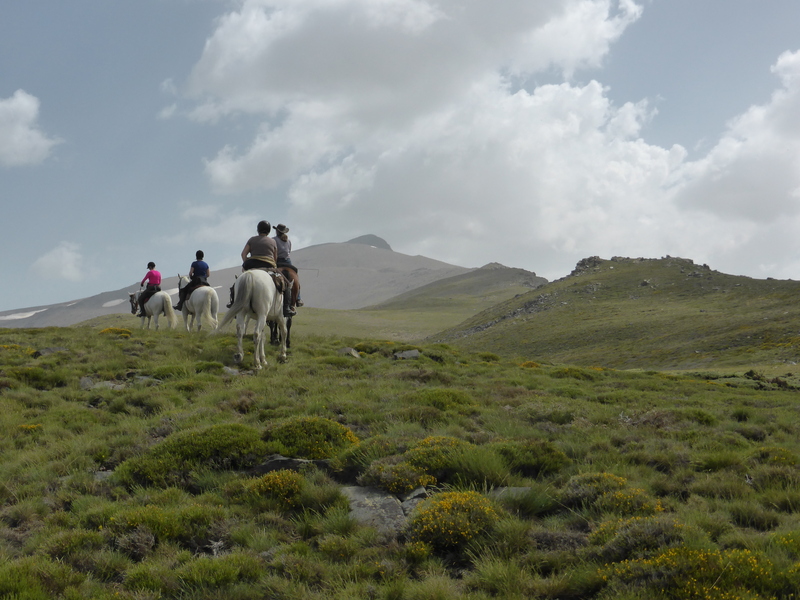 A day of specatacular views and grandiose mountains. 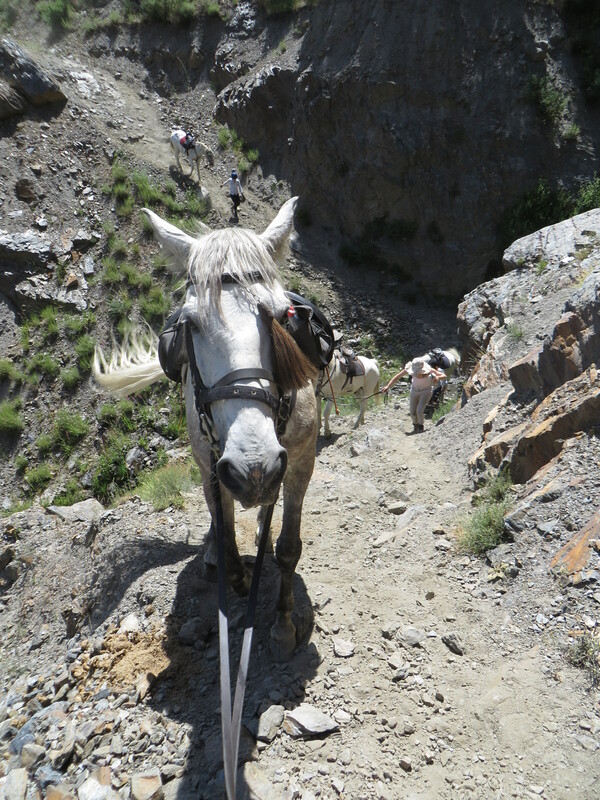 Leaving the village below, take the old path winding its way up through the valley above the cause of the river. 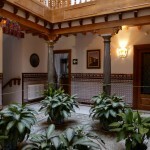 This path is over 1,000 years old and a testimony to the craftsmanship of the old builders. 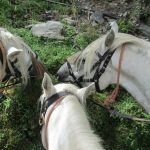 After a couple of hours leaving the path below us you join the main forestry track for about 4 km, here it is possible for some canters. 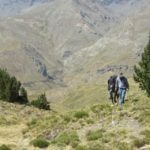 Leaving the valley of Berchules you climb for a couple of hours across open mountainside to the Peñon del Puerto (2,760metres). 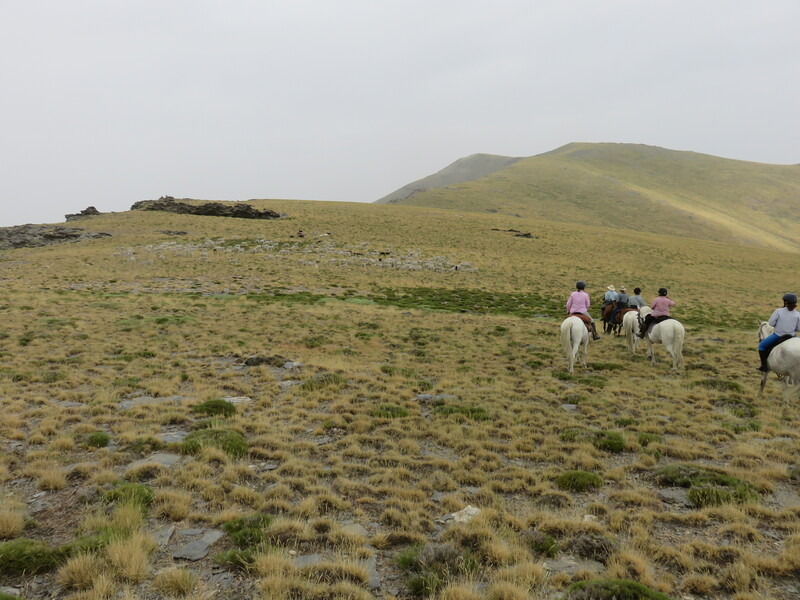 From here you follow the ridge east for a further couple of hours to the Altos to San Juan (2,780metres), where you start a descent of approximately 600 metres. 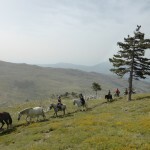 This takes you down to the tree line to join up with a forestry track. 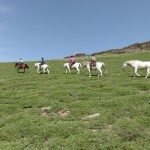 Here there are sections where it is necessary to lead the horses. 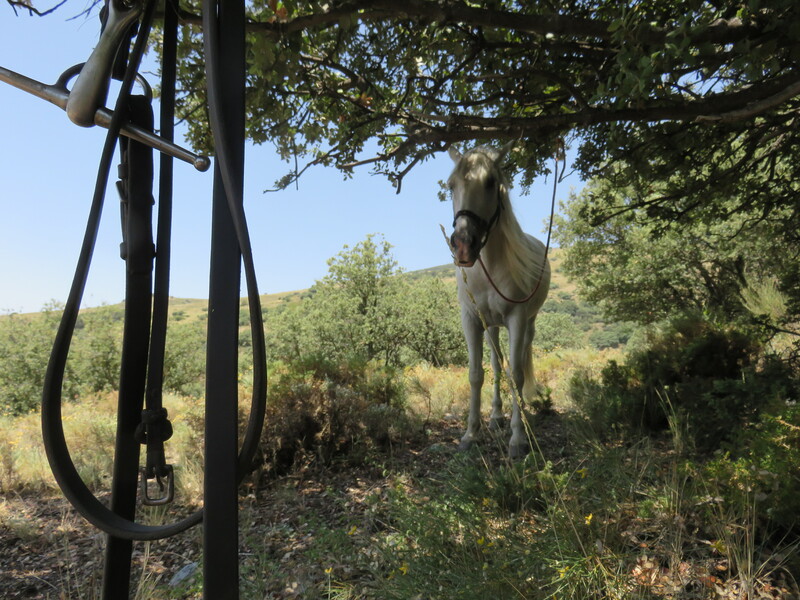 Leaving the horses in the pine woods a vehicle will take you down to your hotel in the small village of Valor. (c.40 minutes’ drive). 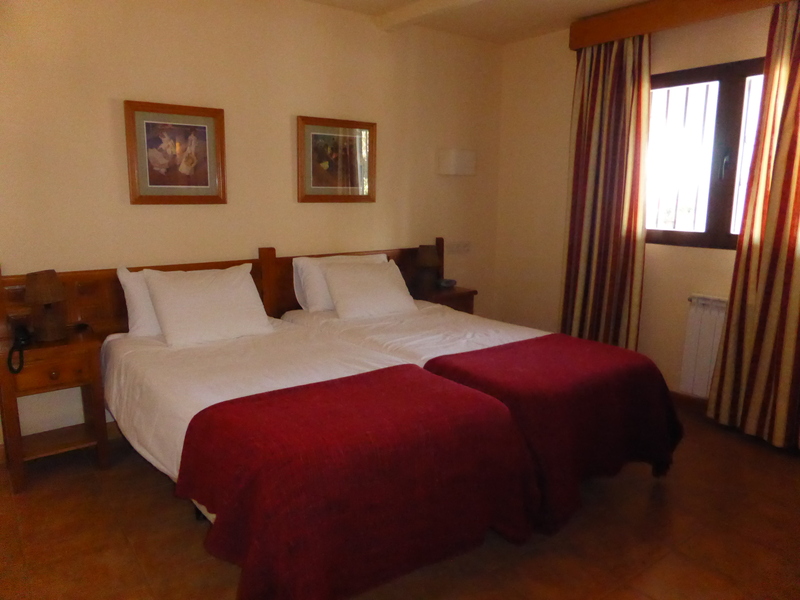 Overnight and dinner in Valor. 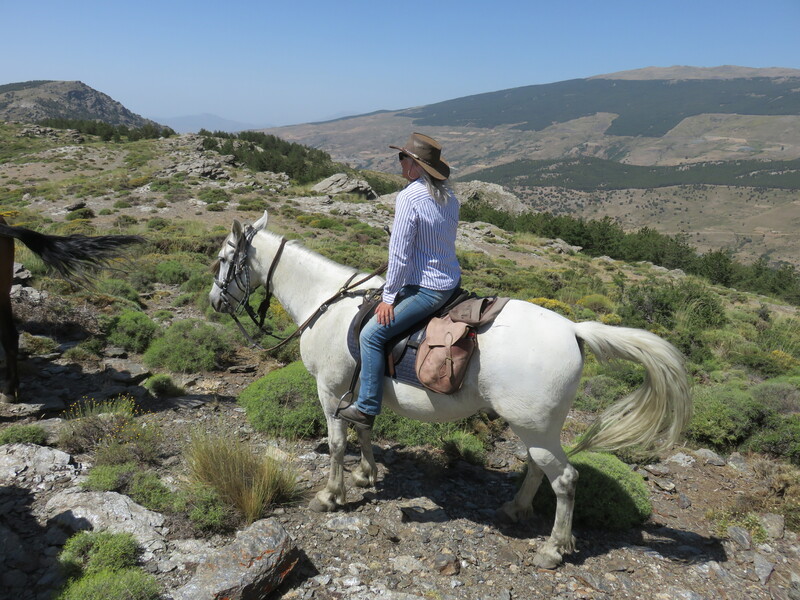 Saddling your horse you return to the ridge of Puerto del Lobo to cross over to the north of Sierra Nevada. 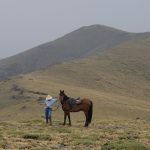 After an initial descent of about 400 metres you follow small sheep, cattle and bridle paths a between 2,400 and 2,000 metres west along Sierra Nevada’s north face. 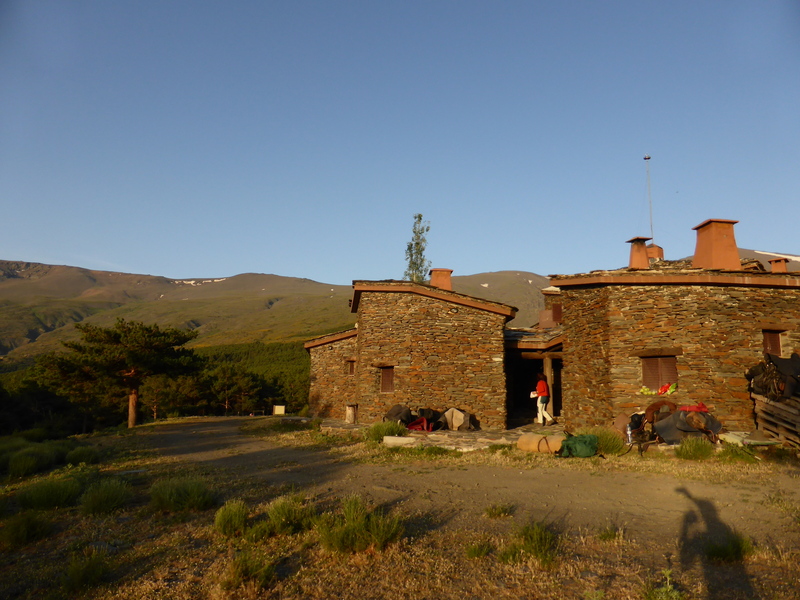 Tonight you stay in the high mountain refuge of Postero Alto. 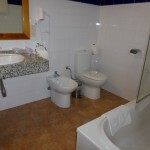 Here it is necessary to share bedrooms and a shower room. 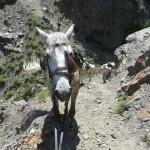 Today you follow foot and bridle paths through the mountains. 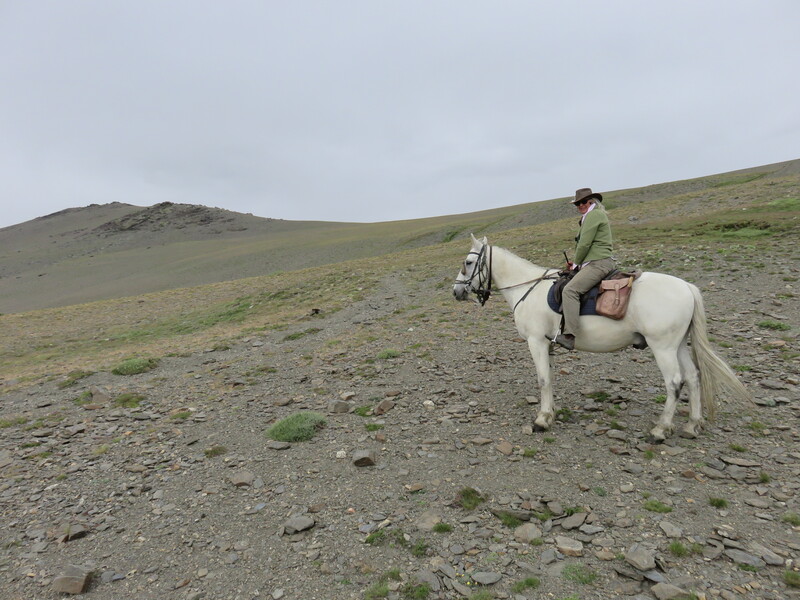 The morning starts with a steep climb to nearly 3,000 metres, where, if there has been a good winter, there will still be snow drifts. 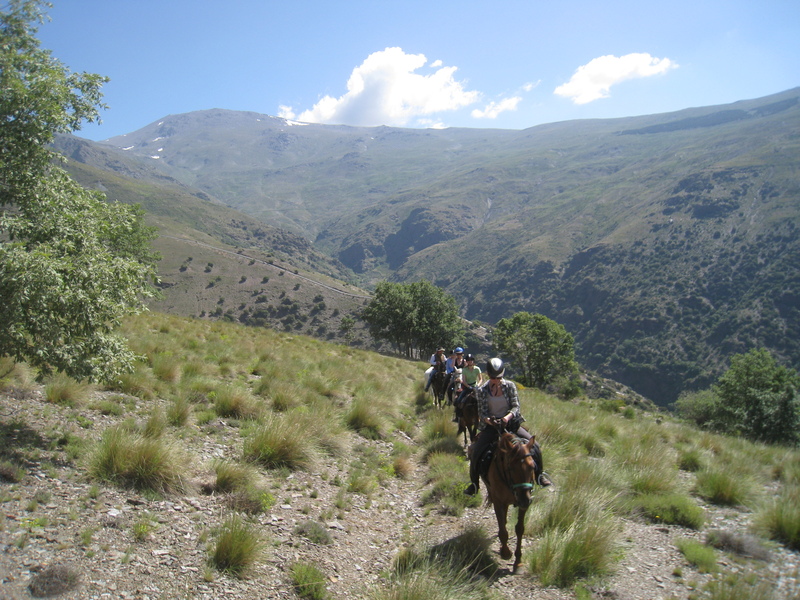 Passing over the summit you descend into the valley of Trevelez on the southern side of Sierra Nevada. 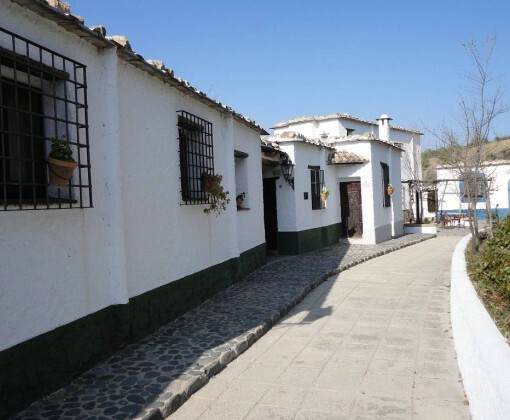 Small paths and old irrigation channels work their way along ridges and gullies and on down through pine and oak woods to the valley and village of Tevelez. 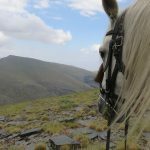 Here you will have spectacular views of the Mulhacen and the Alcazaba, at 3,486m and 3,378m these are two of the highest peaks in Spain. 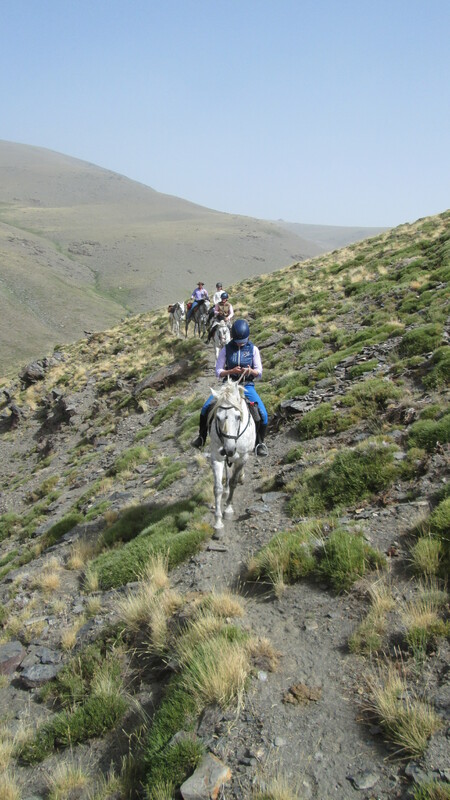 Today there are a number of descents where you need to lead your horse, the final one down to the village is nearly an hour. 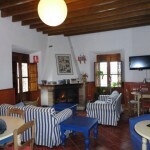 Overnight in the comfortable hotel Fragua in the village of Trevelez. 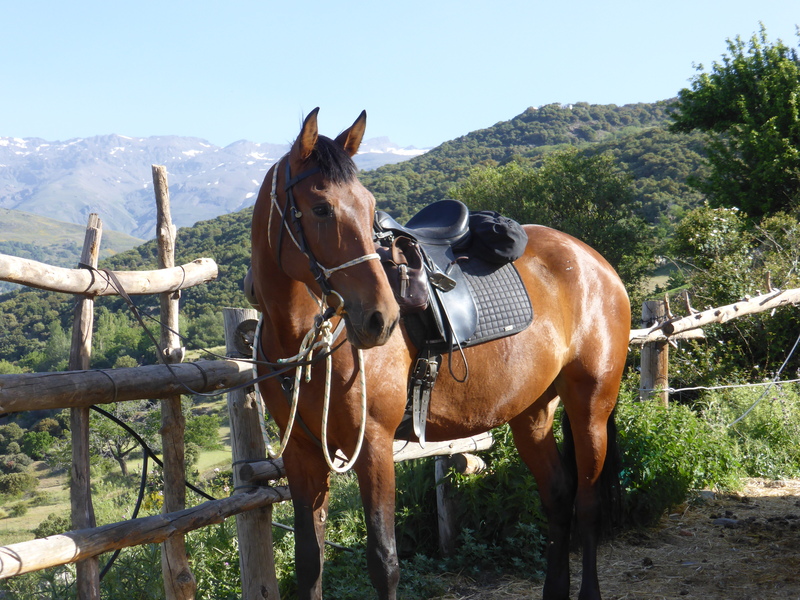 Today is a shorter ride following the forestry track through pine and oak woods. 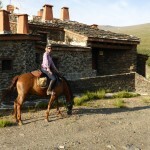 Return to the stables high above the villages of the Poqueira. 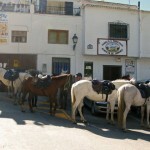 Say goodbye to your horses and enjoy a late lunch in the village of Capileira or Bubion. 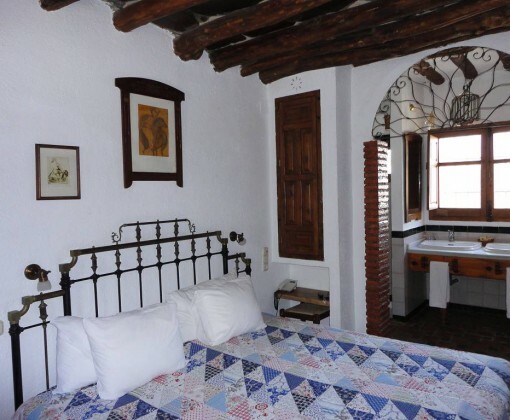 This afternoon is free for some last minute shopping and a well-deserved siesta. Du bor på små familiedreve hoteller eller gjestehus i rom med eget bad. Overnattingen er ren, men enkel og har ofte ikke romservice eller heis. 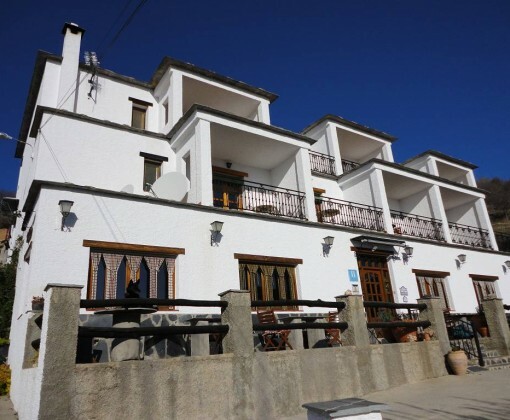 Hotellet i Berchules har et svømmebasseng som er soloppvarmet som er åpent i sommermånedene – tilgjengelig på Alpujarra turen. På El Marquesado rittet er det overnatting i en fjellhytte på høyfjellet (ca 1 900 meters høyde). De resterende 6 nettene er i komfortable landsbyhoteller hvor noen har svømmebasseng. Bagasjen blir fraktet for deg til hvert sted du overnatter. Datoer og priser 2018: Prisene kan variere med valutakurs. Prisen er fastlagt når en tur er bestilt (med unntak av store valutasvigninger). Uker utenom det som er satt opp kan være mulig å få hvis egen gruppe. Ta kontakt for mere informasjon og forespørsel. 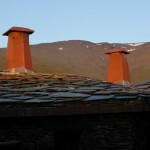 Disse turene går i den høyeste fjellkjeden i Spania, Sierra Nevada. 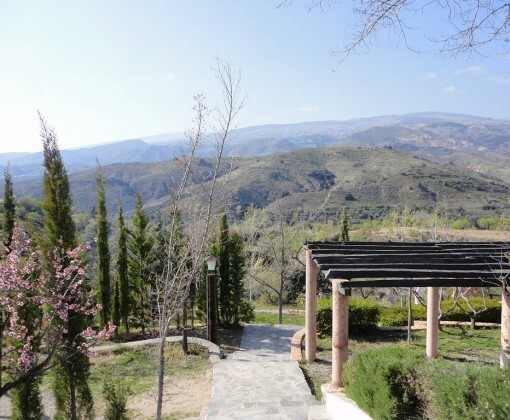 Nærmeste flyplass er Malaga eller Granada. 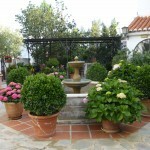 Flyplassen i Malaga ligger ca 15 mil fra Bubion hvor turene starter. Solrikt og mildt om sommeren. Pga høyden er sola veldig sterk og det er viktig med solbeskyttelse hele året. På ettermiddagene og kveldene kan temperaturen synke og til og med i sommermånedene kan du trenge en lett jumper eller jakke. I mars, april, mai og oktober bør du ta med deg varme klær og regntøy. Været på våren og på høsten endrer seg i fjellene og det beste er å være forberedt på alt slags vær.